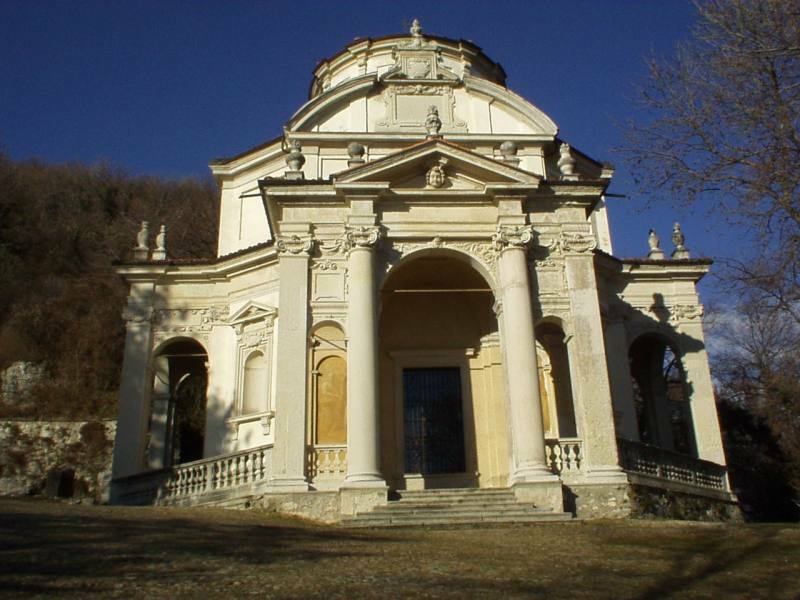 One of the high grounds of the Pre-Alps in the Varese area, Santa Maria del Monte (or Sacro Monte) is immediately north of Varese. 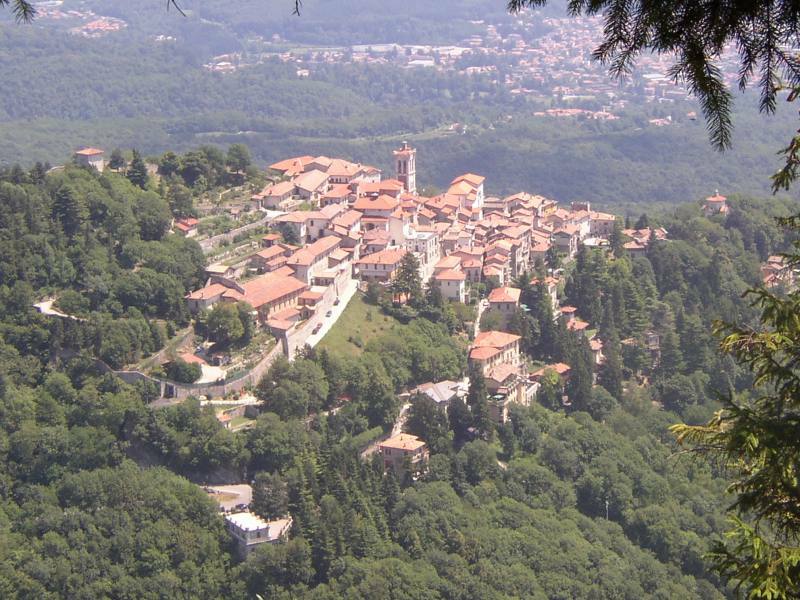 An autonomous municipality since 1927 which was later absorbed by Varese, it is part of the Campo dei Fiori Regional Park. This rather charming place looks out onto the Alps and the Pre-Alps. 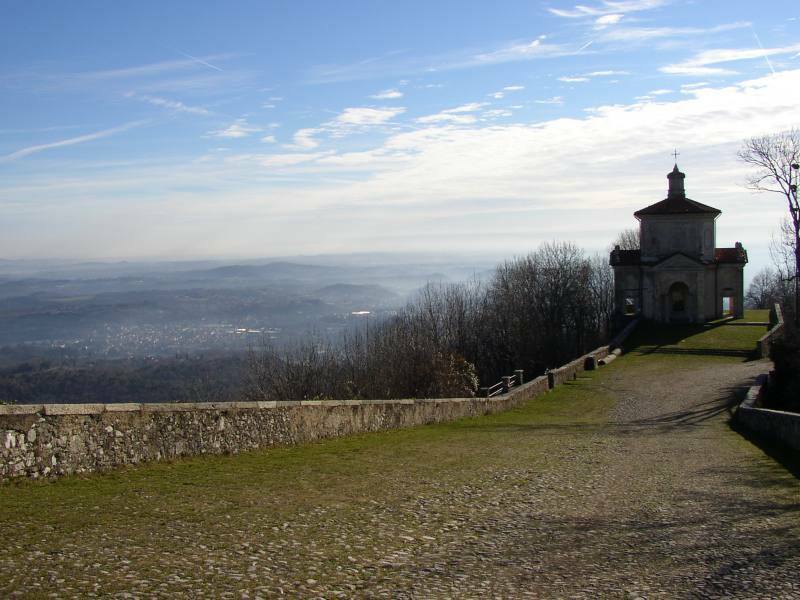 Looking south on clear days, it’s possible to get a glimpse of lakes Varese, Comabbio, Monate and Maggiore and if you are particularly lucky, even some outlines of Milan, Novara, Vercelli and the higher part of Turin. 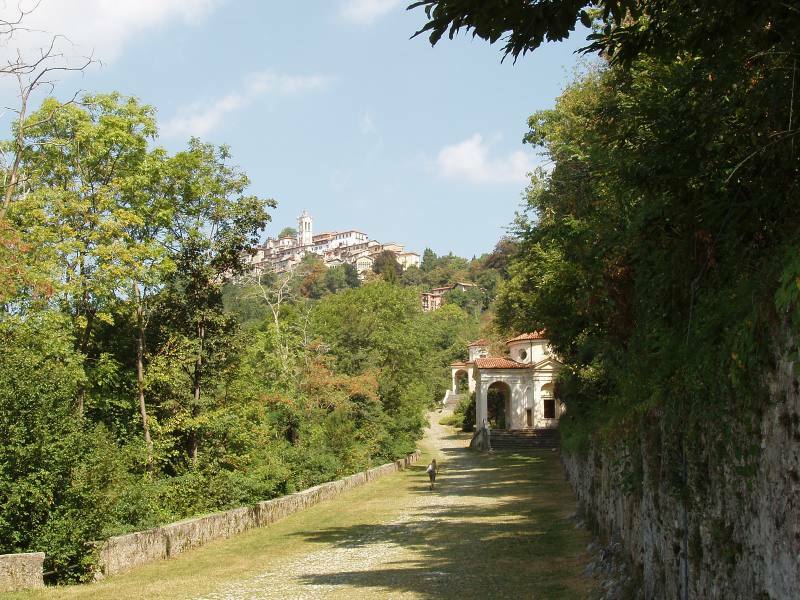 If you’d like to go to the Sacro Monte, simply take the ascending municipal road directly from Varese. 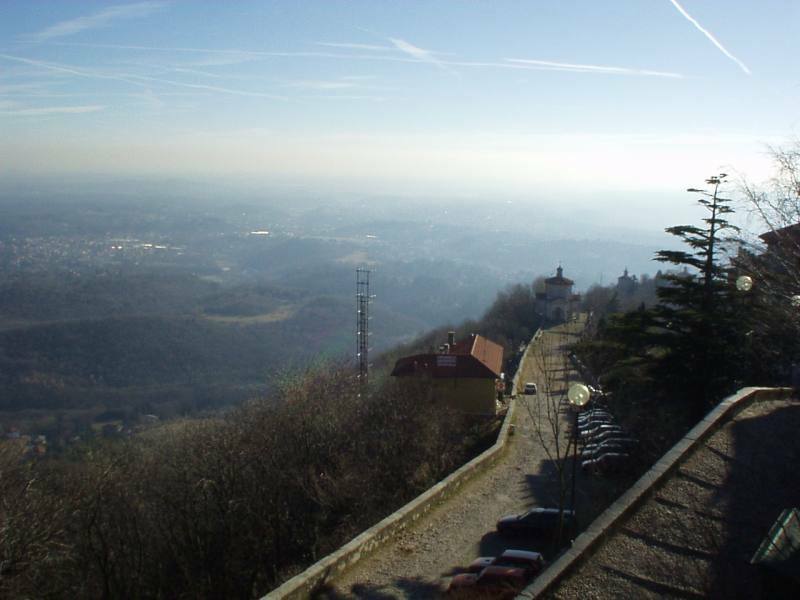 Alternatively, there are comfortable urban buses and, for the final stretch, the funicular railway, which was recently put into operation. 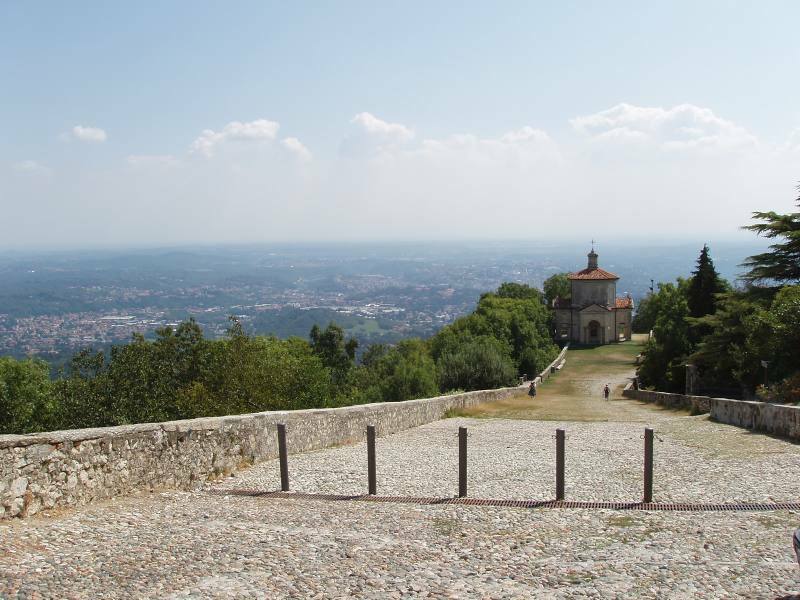 Santa Maria del Monte (today a UNESCO World Heritage Site) is an ancient place of faith associated with the Marian worship; it was already a well-known place of pilgrimage in the 15th century. 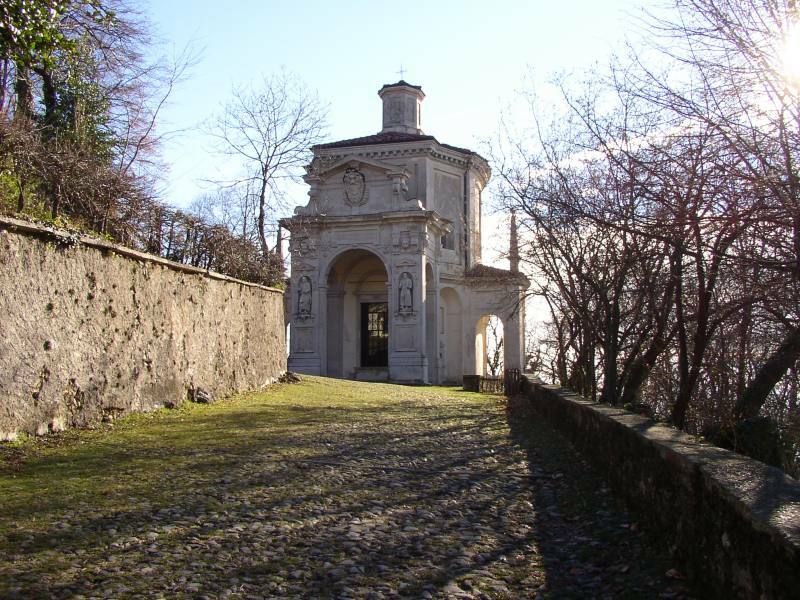 A document from the 17th century tells how Saint Ambrose built a chapel on the mountain in the 4th century and placed an image of the Madonna there (still visible today) after the Arians were defeated due to the intercession by the Virgin. 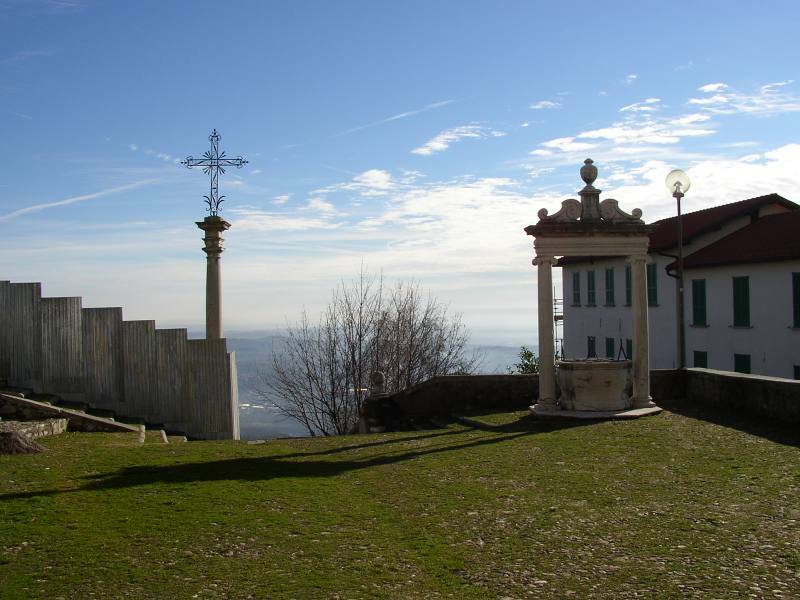 In 1474, the top part of the mountain became home to the monastery founded by blessed Caterina of Pallanza and Giuliana of Verghera: the Suore Romite Ambrosiane (order of nuns) are still there today. 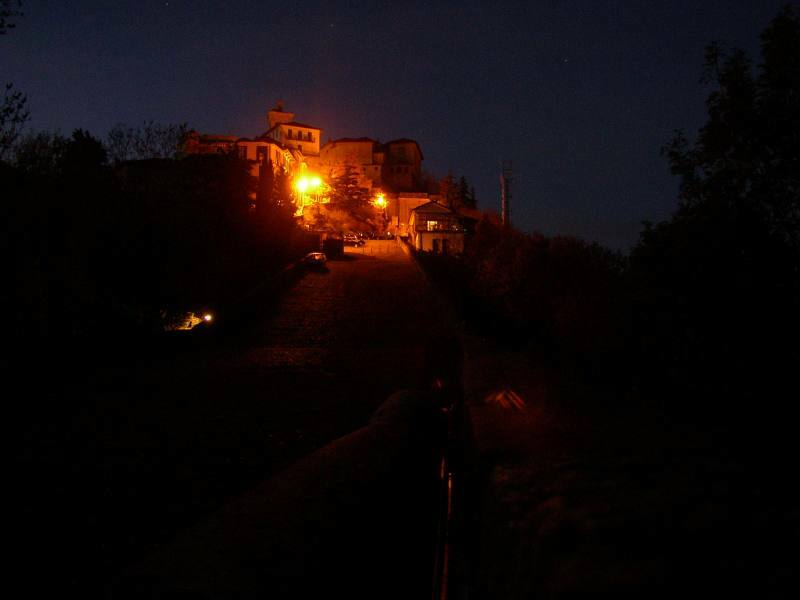 At the beginning of the 17th century, Capuchin Friar G. Battista Aguggiari convinced abbess Sister Tecla Maria Cid to build a cobblestone path following the steep course of the mountain and placing 14 chapels depicting the Mysteries of the Rosary along the way. 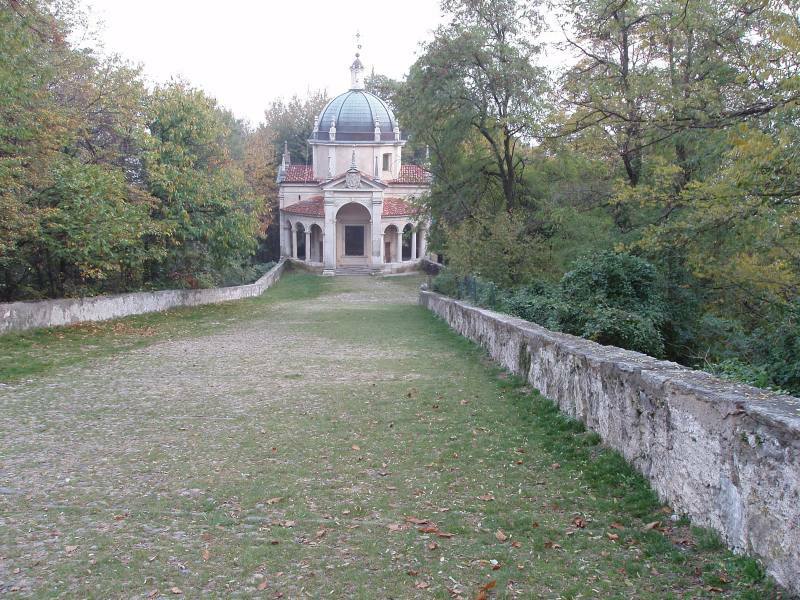 This is how the Via Sacra delle Cappelle del Rosario (Sacred Way of the Chapels of the Rosary) was created. 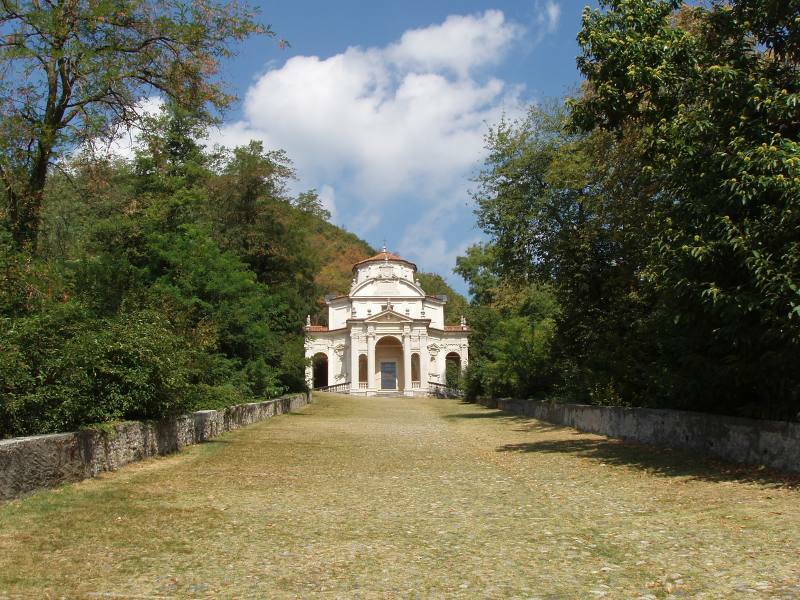 This ambitious project was worked on for the entire 17th century by talented architects and sculptors the likes of Bussola, Prestinari and Silva and artists such as Nuvolone, the Recchi brothers and P.F. Mazzucchelli (Il Morazzone). They worked based on instructions from architect Giuseppe Bernascone. 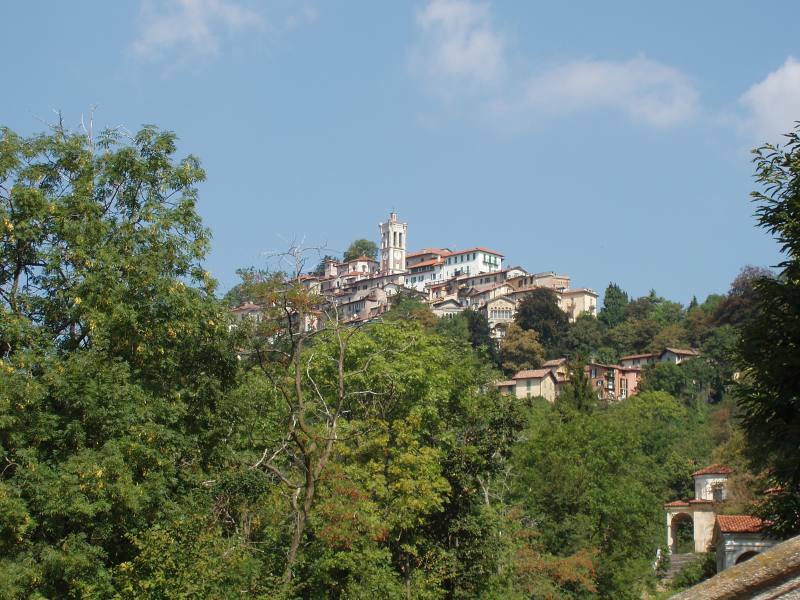 The works were financed (time and money) by the people of Varese. Renovations on the chapels were completed in the 1980’s and 1990’s on the will of Bishop Pasquale Macchi, former archpriest of the sanctuary and secretary to Pope Paul VI. 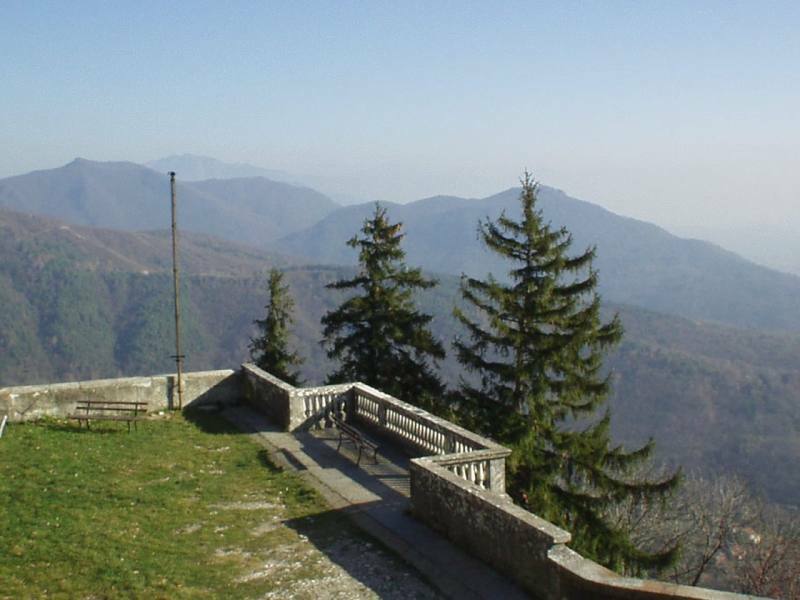 Pope John Paul II visited the Sacro Monte in 1984. These are 14 spectacular aedicules from the 1600’s, each having a different shape and containing full-scale multicoloured terracotta statues. The Way starts with a chapel-church dedicated to the Immaculate Conception, with 17th-century frescoes and statues. 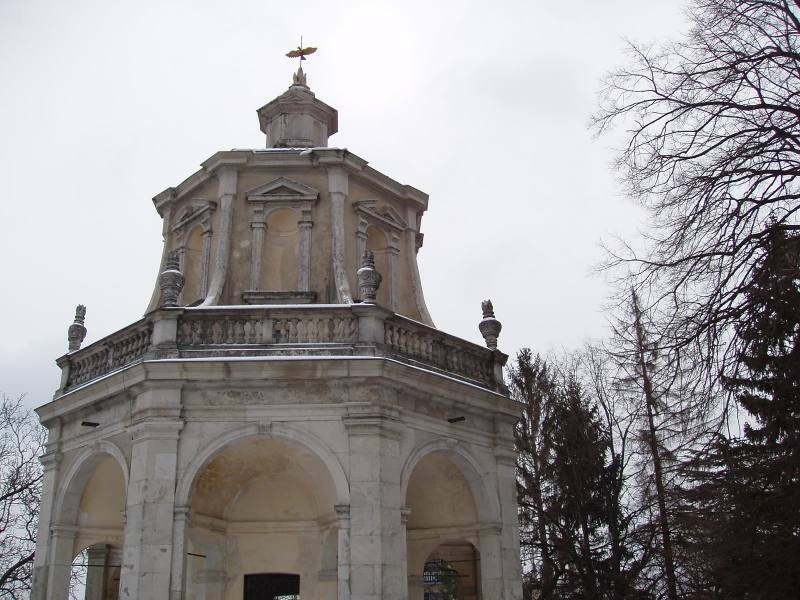 After the first arch dedicated to the rosary and the fountain of the Samaritan, there are the 5 chapels of the Joyful Mysteries. 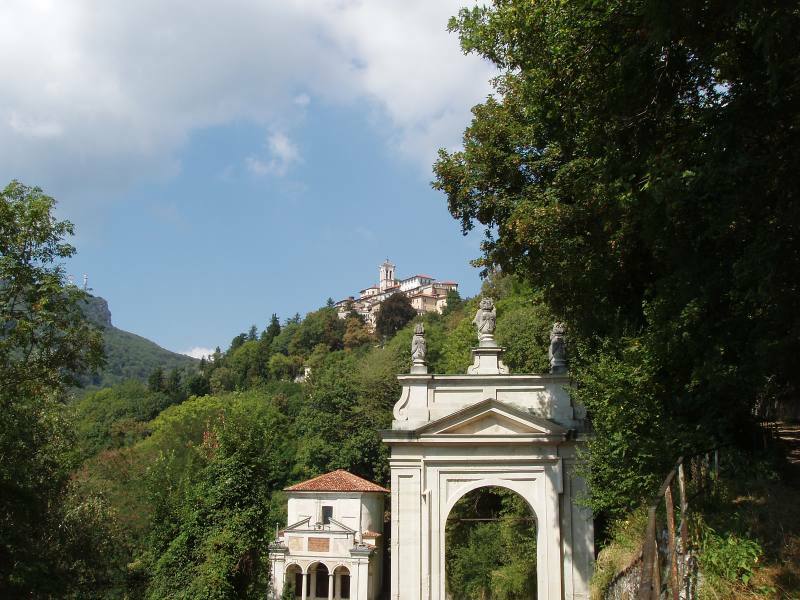 Then there is a second arch (dedicated to Saint Charles, who visited the Sacro Monte in 1578), a second fountain and the chapels of the Sorrowful Mysteries, with an interval comprising the Grotta delle Beate Caterina e Giuliana (grotto of the blessed Caterina and Giuliana). Lastly, a third arch is dedicated to the bishop and patron of Milan, Saint Ambrose and a third fountain is followed by the chapels of the Glorious Mysteries. Construction of the 12th chapel was interrupted, however the most famous of them all is the 7th, which was frescoed by Il Morazzone. 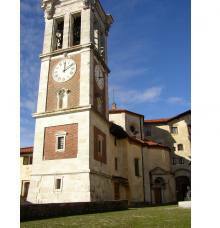 The last 15th glorious mystery (The Coronation) is where the Basilica of Santa Maria del Monte was consecrated. 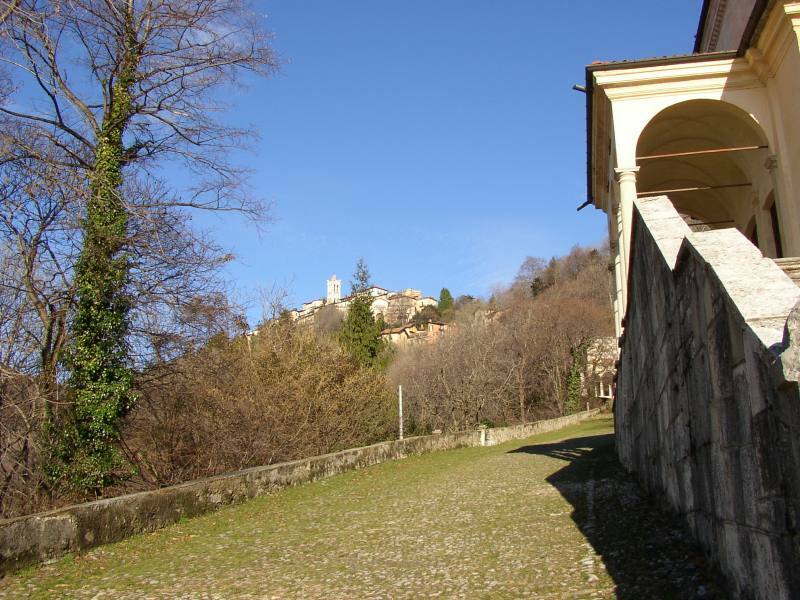 It is also the destination for the pilgrims who walk along the Sacred Way of the chapels. The basilica-sanctuary dates back to the Middle Ages. It has a Romanesque crypt under the presbytery dating back to sometime around the year 1000. The exterior is in Renaissance style while the interior is baroque. The paintings in the naves are by artists Il Fiammenghino, Il Ghianda and the Lampugnani brothers. The choir and organ are also praiseworthy. The Church of Annunciata is on the side of the sanctuary; it was renovated in 1990. 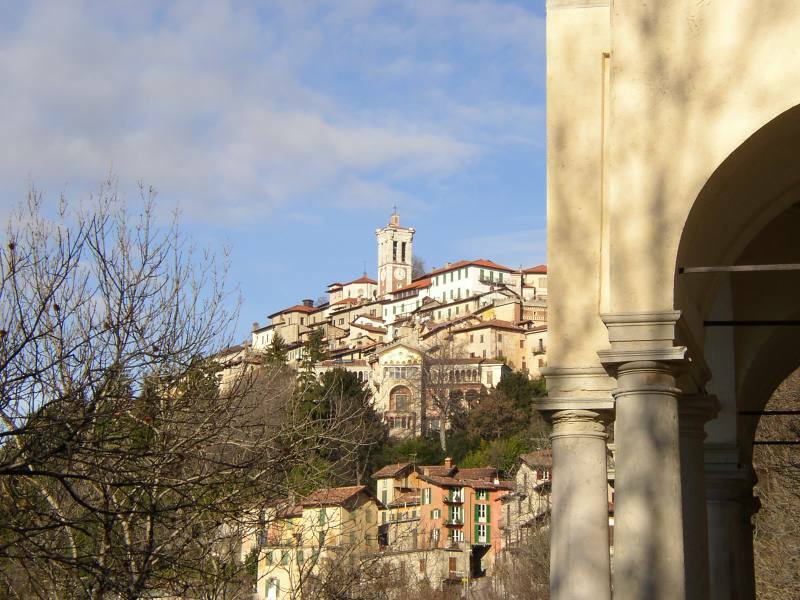 Works from the 20th century include: the "Flight into Egypt" by Renato Guttuso outside the third chapel (1983), the statue of Paul VI by sculptor Floriano Bodini (1986) in the sanctuary’s square and the terracotta statue by artist Angelo Maineri (1997) located near the Sacro Monte hotel. 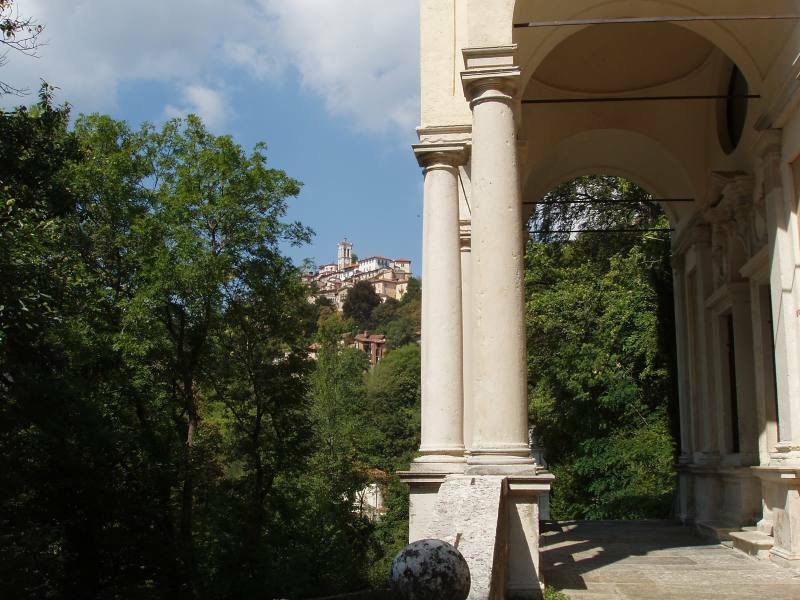 In addition to its artistic treasures, the Sacro Monte also has two museums: the Museo Baroffio e del Santuario (Baroffio and Sanctuary Museum), which was recently renovated, and the Pogliaghi Museum, located in the villa where sculptor L. Pogliaghi lived until his death in 1950.